Hello friends, Hope you enjoyed the 4th of July and ready to start the week with new vim and vigor. 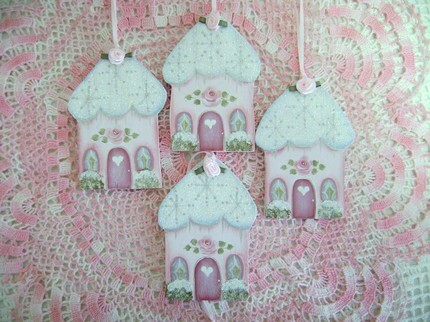 Today is our Monday Market shopping with Etsy Cottage Style and will continue all week long. 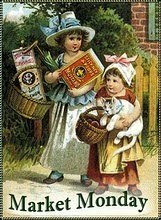 Visit the many participating shoppes featuring vintage and handmade creations from some of the talented artists around. Click HERE to view the list of shoppes participating today through the week. As for me, I'll be listed with Monday Market too and working away in my studio with some new creations coming soon, taking the afternoon to hunt for new treasrues and preparing for Christmas in July coming to my etsy shoppe and Make Mine Pink July 16th - 20th. 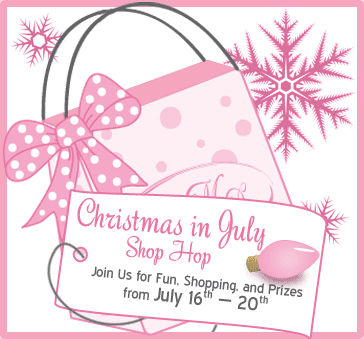 More details for the Christmas in July Shop Hop to follow. Mark your calenders as it will be fun and filled with the first treasures for the holiday season. For me, it is exciting to get a jump start on the many pretties I like to create and share at Christmas, but not always able to get everything finished that I like to offer. Starting early is the answer, and even though the temps here are nearing 100 degrees, painting pretty pink Santas are a welcome time. Glittered Rose Heart ornaments, Snow Cottages, Pink Rose Angels, Frosty Snowmen and Christmas Roses are just a few of the pretties that will be filling the shelves in the next few days. See you soon and till then, Blessings Always!